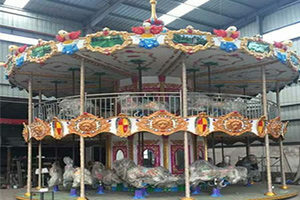 As the name shows us, double decker carousel rides has double deck. 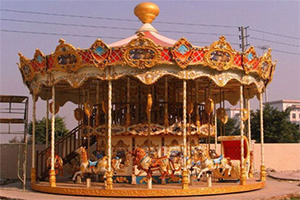 Usually it is a luxury ride with its upper and lower floors running respectively and splendide royal decoration. In this field, beston has done a lot, our double decker carousel had won lots of praises from passengers around the world. 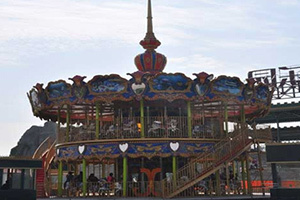 All of our carousel rides are made by fiberglass which will keep a long life-span. Decorative plates, ceiling and covering plates are decorated with colorful embossment while the crown on top of the canopy is sky-high erected. 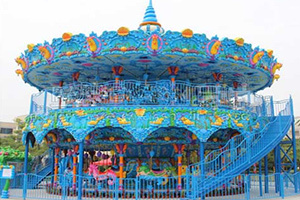 With colorful lightings, the double deck carousel ride looks grand and noble. Especially double deck gives the passenger a splendid feeling than a simple one, and it may really help you to release pressure. 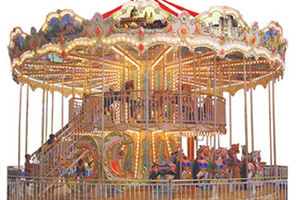 The Beston Rides Double Decker carrousel will takes fun to a whole new level and increases ticket sales without increasing square footage. Create your own ride with your choice of options or custom theme.